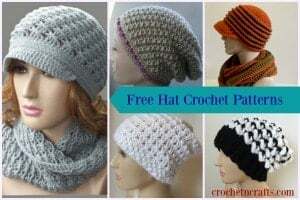 Another free broomstick lace crochet pattern. 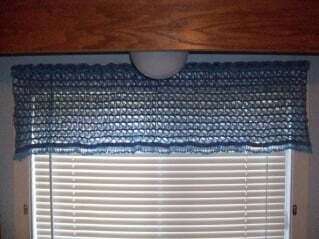 This one is for a beaded valance, which you can make as long and wide as you like in order to fit your window. You can also make matching curtains to go with this valance. The only thing, with curtains it might get a little heavy. This crochet pattern requires knowledge of the broomstick lace and the beaded loop stitch. Both are fairly easy to do once one understands the methods. This is actually a great pattern for someone who is learning broomstick lace. 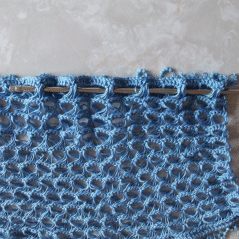 For a broomstick lace tutorial, click here, and for the beaded lp st, click here. Each beaded loop stitch is worked with 3-4 beads in each loop. You can use more or less depending on how small or large the beads are. To determine how many beads you will need, simply multiply the number of beads you want in each loop by 250 or by the number of stitches you have across. Then multiply that number by 2. This will give you the total for the beaded loop row on the top and bottom. You can string your beads on before you begin your work or when you get to the beaded loop row. If you string them once you get to the loop row, you will have to fasten off your work or string them from the opposite end of the yarn. All the crocheted rows in the pattern are worked from right to left as normal and the broomstick lace loops are picked up from left to right. This allows you to continue to work from the same side of your work. Another tip on broomstick lace is that the groups of 5 loops are worked as 1 loop. The curtain rod is woven into the top loop row. If you have a large rod, you can use a knitting needle/stick slightly larger than the curtain rod to pull up the loops on the last loop row. The curtain rod is then hidden by the last beaded loop row. Ch 251 or any multiple of 10 plus 1. Row 2: Ch 1, work 1 beaded lp st in each st across. Turn. Row 3: Ch 1, sc in each st across. Do not turn. Row 4: Place the active lp unto the knitting needle, *draw up a lp in next st and place it on the needle, repeat from * to end. Do not turn. Row 5: Insert the hook under the first 5 lps and remove them from knitting needle, yo and pull through, ch 1, work 5 sc into the group of lps, *remove the next set of 5 lps and work 5 sc sts into them, repeat from * to end. Do not turn. Repeat rows 4-5 until desired length. Last row: Turn. Repeat row 2. Weave the curtain rod into the lps of the last row as pictured.